The 2017 indoor track and field season culminates this weekend at the 2017 NCAA Indoor Track & Field Championships in College Station, Texas. We’ll be on-site in the Lone Star State starting Thursday, but before we get down there we’ve previewed the mid-d/distance events so that you can know what to watch for at the meet. 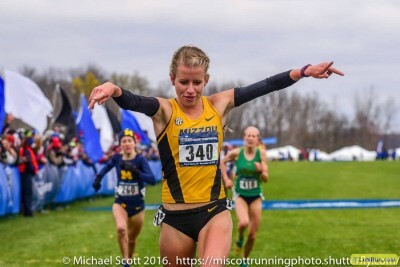 Below you’ll find our look at the women’s 3k and 5k, featuring Missouri’s NCAA XC champ Karissa Schweizer, Oregon superfrosh Katie Rainsberger and Michigan’s Erin Finn. Four collegiate women have broken 15:40 this year, and we expect one of them to walk away as NCAA champion on Friday. Unfortunately, none of them is named Molly Seidel. The defending champion missed all of outdoors with a sacral stress fracture and then didn’t race XC in the fall (she was out of eligibility). Notre Dame put together a cool video to announce that Seidel would be returning for her fifth year on the track in 2017, but Seidel has finished just one race this season (4:44 mile win in January) and did not qualify for NCAAs. The woman who would take her place, Allie Ostrander of Boise State, is also absent. 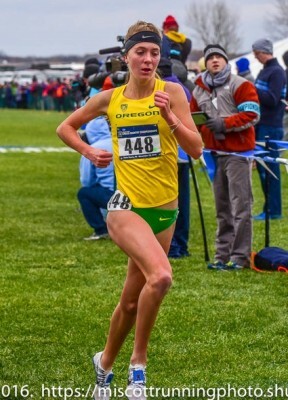 Ostrander, who finished second at NCAAs in XC and ran 8:54/15:21 as a true freshman in 2015-16, dropped out of this race with an injury last year. Since then, she’s returned to race just once – at the Olympic Trials, where she ran brilliantly to finish eighth. 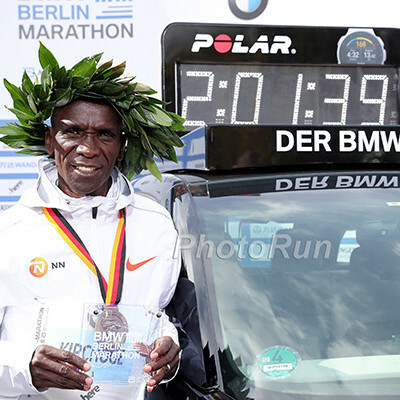 This has left a void, which one of the four sub-15:40 women — Tessa Barrett, Erin Finn, Karissa Schweizer and Seidel’s ND teammate Anna Rohrer — will try to fill. Barrett is the top seed on paper at 15:28, but her NCAA championship history is checkered: she has dropped out in her last two appearances (2016 outdoor 5k, 2016 XC). With that said, however, Barrett is only a sophomore. 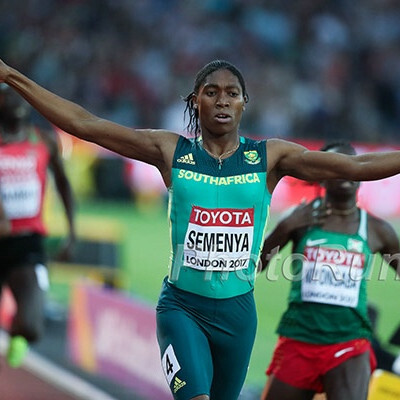 As a former Foot Locker champ who has been on a nice upward trajectory over the past two years, she’s too talented to continue to struggle at NCAAs. Finn is the sentimental favorite. She’s never won an NCAA title but has come close on multiple occasions, taking second to Seidel in the 3k and 5k last year indoors before Schweizer kicked by her in the final 50 meters to win the XC title in November. 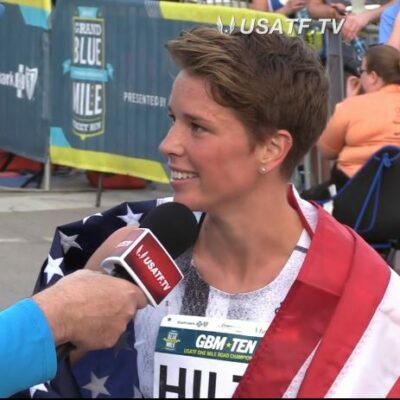 Finn has perpetually been the bridesmaid and rarely the bride; dating back to high school she’s finished second at a national championship seven times, with only one victory (2012 New Balance Indoor Nationals 5k). 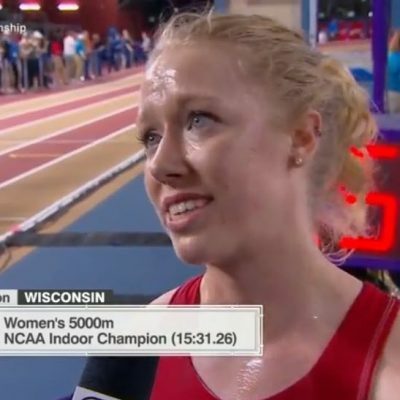 There is one big problem for Barrett and Finn is that neither of them won the 5k at their own conference meet — they were both beaten by Indiana’s Katherine Receveur, who is skipping the 5k at NCAAs to run the DMR/3k. In fact neither won the 3k either (Michigan’s Gina Sereno won). If Finn were in her 2016 form (where she ran 9:01/15:23 and swept Big 10s in the 3k/5k), we’d pick her for the win here, but that doesn’t appear to be the case. What about Rohrer? She was fourth in the indoor 5k last year and third in XC, and she’s run well this year, no doubt. She won the ACC 5k by 26 seconds in 15:38, though she was only third in the 3k, where her SB is “only” 9:15 (she also lost to three collegians in the 3k at the Meyo Invite). 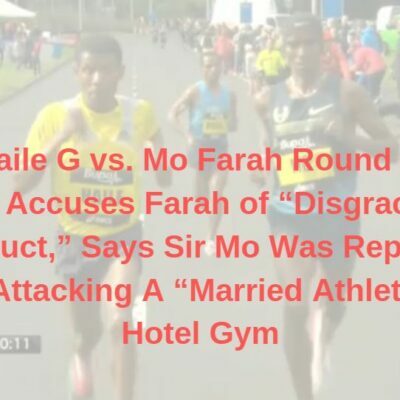 Rohrer is a better 5k runner than 3k runner, but there’s no convincing reason to pick her over Finn. That leaves Schweizer, and there’s very little to dislike about the Missouri junior. Though her SB of 15:37 is slower than that of Barrett or Finn, she ran that on December 3 in a race she won by 14 seconds; we imagine Schweizer is in sub-15:30 shape right now. She has run fast in the 3k (9:06 at Iowa State) and has flashed some nice mile speed, running 4:35 in January and winning the mile/3k double at SECs. LRC prediction: Schweizer hasn’t lost a race since October, and when we look at her, we’re reminded of Seidel last year or Dartmouth’s Abbey D’Agostino in 2013-14 — NCAA XC champs who got hot and kept it rolling all the way through indoors. Schweizer is in great form and she’s got a championship-caliber kick. That’s why we like her to win this race. Who will win the women's 5k at 2017 NCAA Indoors? 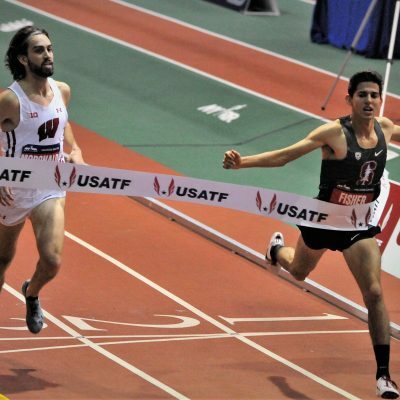 4:30 1600 split on Oregon’s NCAA-record-setting distance medley relay team on January 27. NCAA-leading 9:01.21 3k to win Husky Classic on February 11. 4:35.60 mile to win the MPSF meet on February 25, defeating 2:01 800 runner Shea Collinsworth of BYU. Rainsberger has been so good in 2017 that we don’t yet know her true potential. But the same could be said for most of the top contenders in this field. Indiana’s Katherine Receveur has collected some nice scalps this season (Rohrer at the Meyo Invite; Barrett and Finn to win the Big 10 5k), and she’s got a great backstory: two years ago, she was struggling to break 6:00 for the mile after getting a kidney infection. A year ago, her PRs were just 9:41 and 16:51. But Receveur, who has also split 4:33 on Indiana’s DMR this year, is no longer battling the variety of maladies that inhibited her progress and has revealed herself as a stud. We should point out, however, that she lost the 3k at Big 10s to Michigan’s Gina Sereno, who is also in this race. Colorado’s Dani Jones, who finished a second behind Rainsberger at the Husky Classic, is another woman to watch. 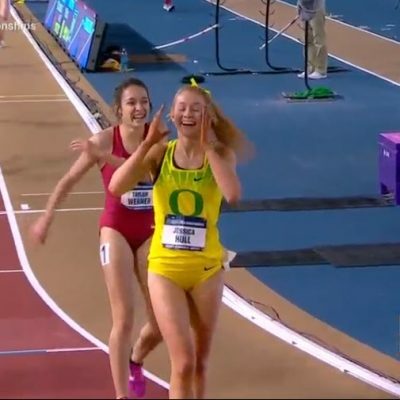 Stanford’s Elise Cranny may be the most talented athlete in the field: she was fourth in the 1500 at World Juniors as a senior in high school and ran 8:58 for 3k as a true freshman, taking second in this race. However, since that race injuries have caused Cranny’s career to move in fits and starts. She was second at NCAAs in the 1500 last spring, but couldn’t stay healthy during the cross country season, finishing 158th at NCAAs on a day when she was clearly less than 100%. Cranny hasn’t been bad this year indoors (she’s run an 800 PR of 2:05.51 in addition to her 9:06 3k). At her best, she can win this race, but we just don’t know if that’s the case. 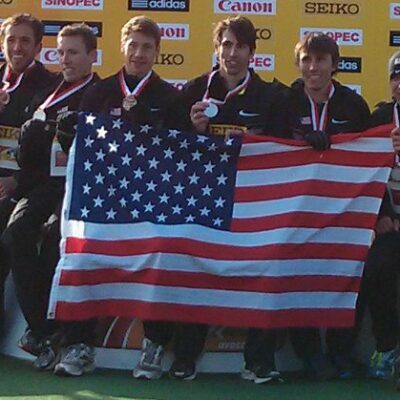 One other thing to remember: Rainsberger, Receveur, Jones and Cranny will all likely be doubling back from the DMR. But with Schweizer doubling back from the 5k, all of the main contenders are going have something in their legs for this one, meaning no one has a huge advantage/disadvantage. LRC prediction: If Schweizer wins the 5k, we like her to double back and win this as well. If not, we’re going with Rainsberger FTW. Who will win the women's 3k at 2017 NCAA Indoors?